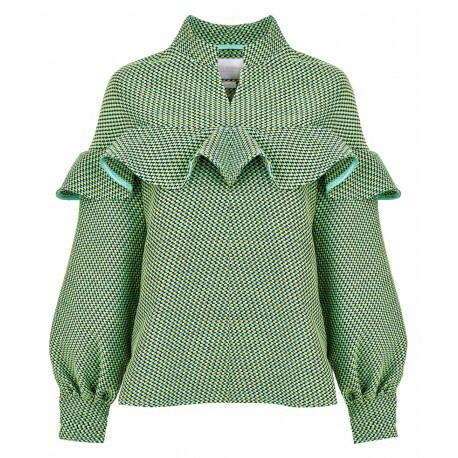 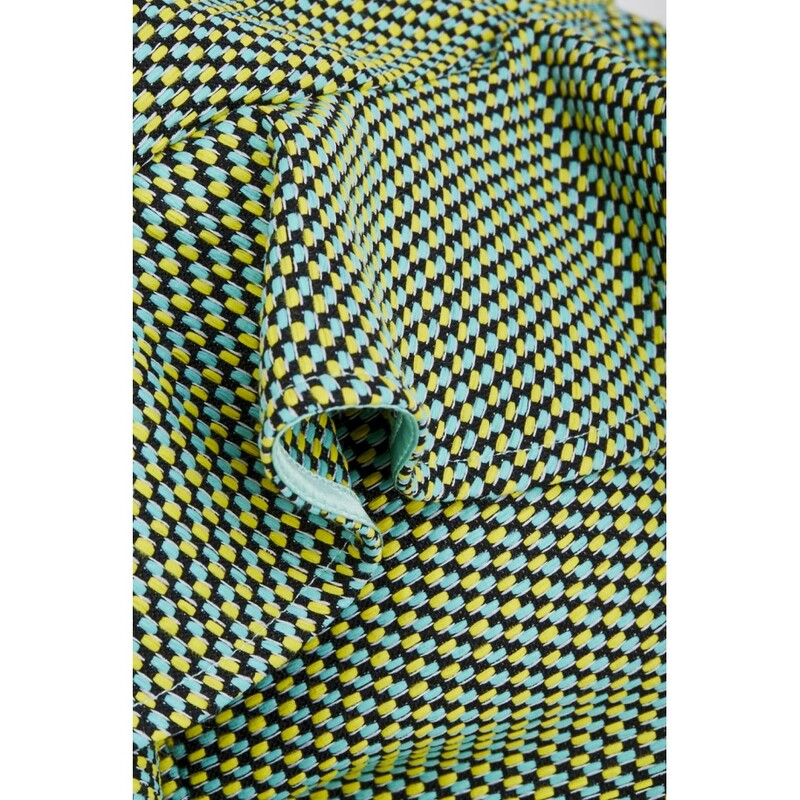 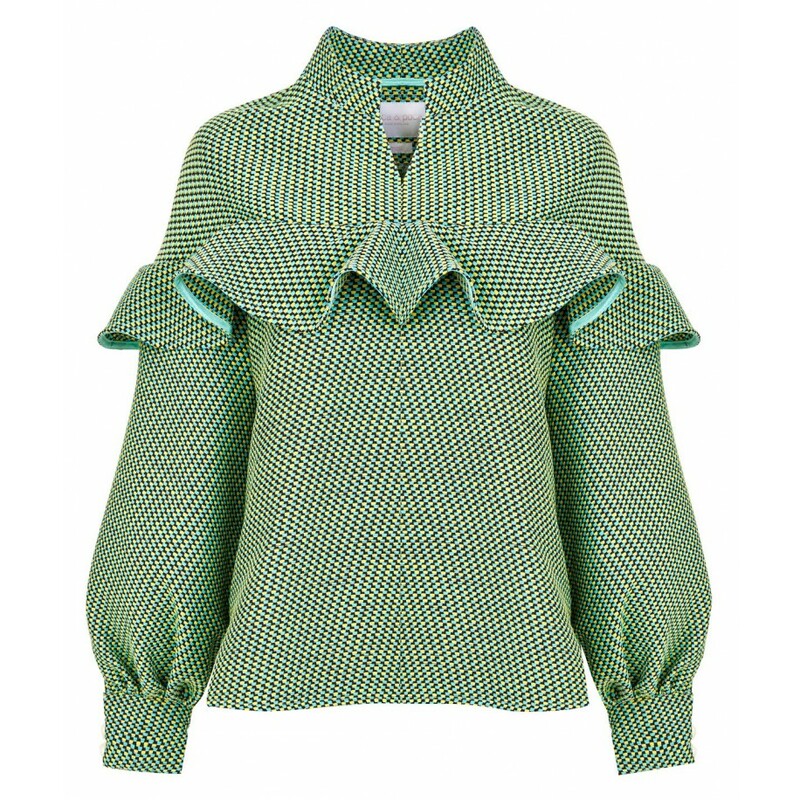 An elegant women's blouse AW17 LOOK 03 Poca & Poca catches the eye with freshness of colours: green, yellow and black. 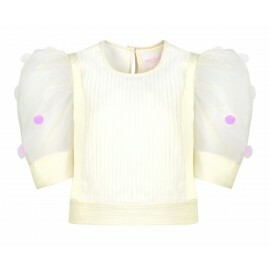 A flounce that imitates butterfy wings and petals of flowers adds it more charm. 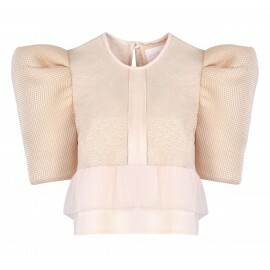 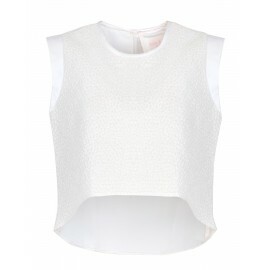 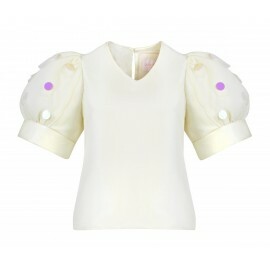 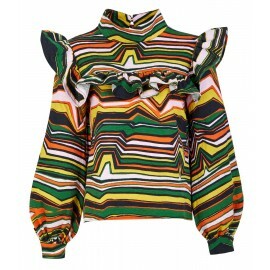 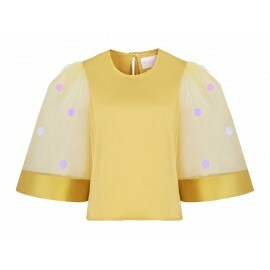 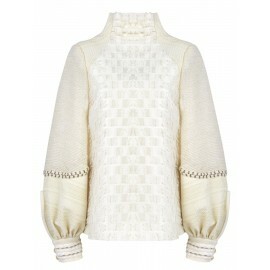 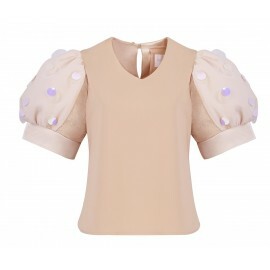 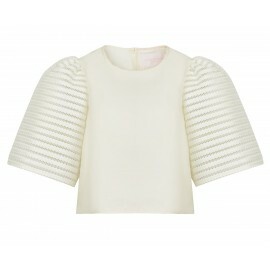 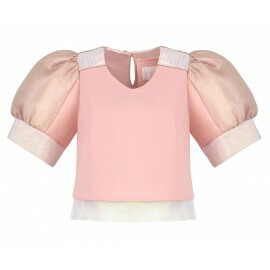 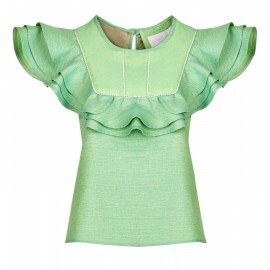 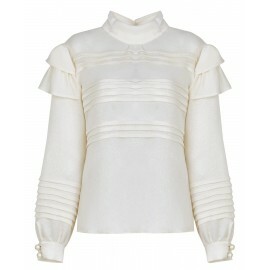 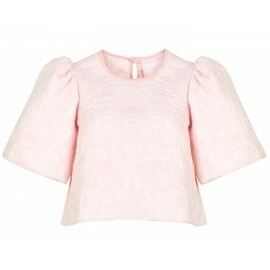 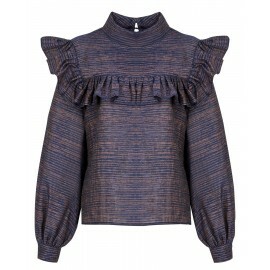 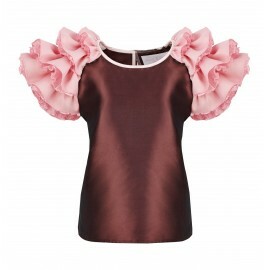 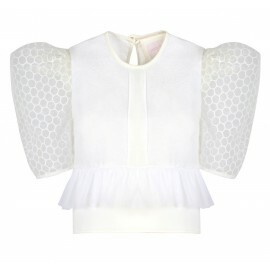 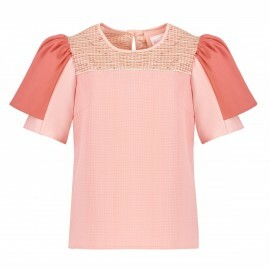 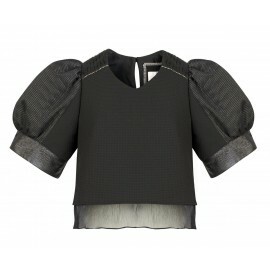 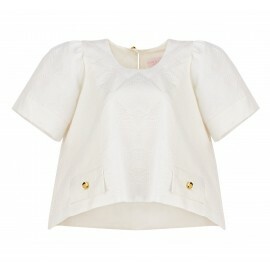 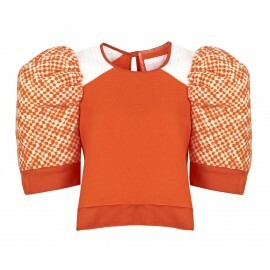 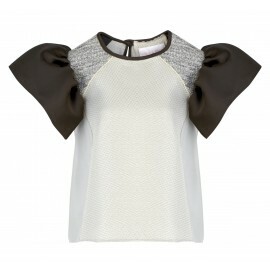 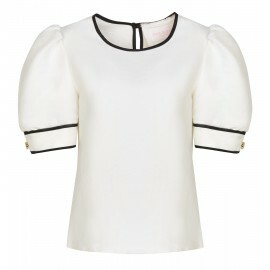 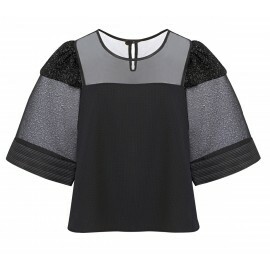 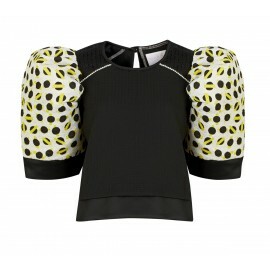 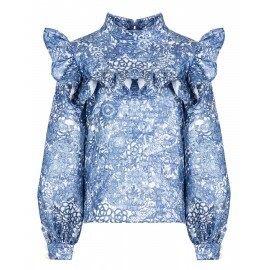 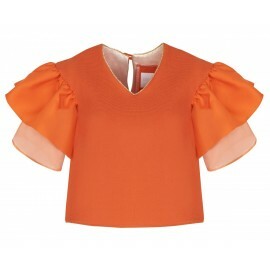 Wider at the bottom cut and long, puffy sleeves finished with a cuff ensure comfort. 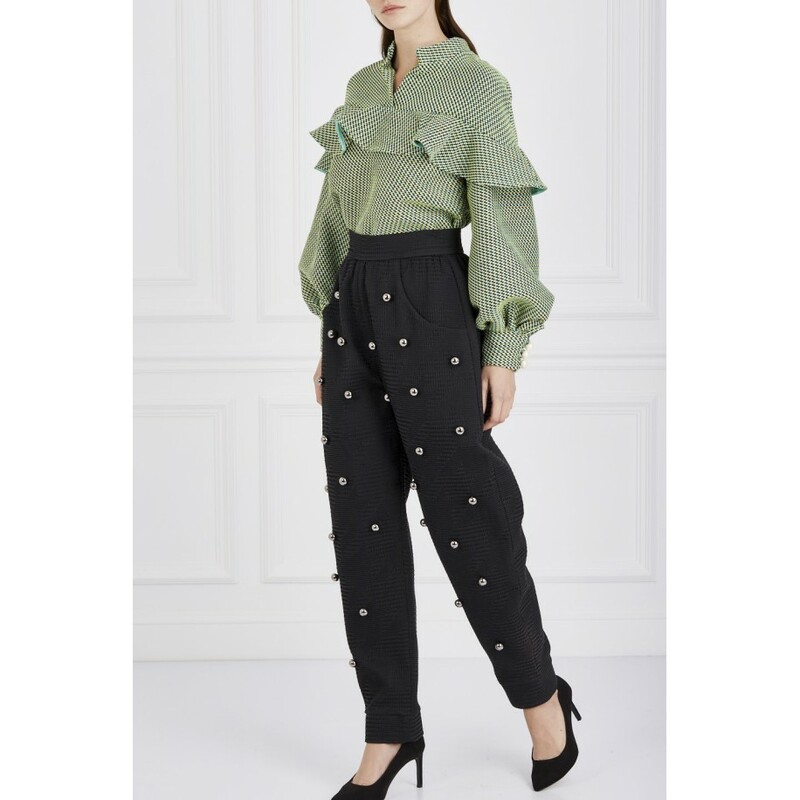 High collar with a slight cut makes the blouse modest and stylish - combined with a simple skirt or pants it will be perfect for work.